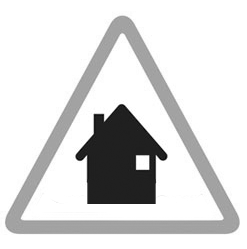 Areas at risk include some properties on Farmers Heath road, Spinney Drive, Ascot Drive and Chase Way. Some properties on Regal Close and Oliver Lane. The area bounded in blue on the map shows the area covered by flood alerts and warnings for Rivacre Brook at Great Sutton.